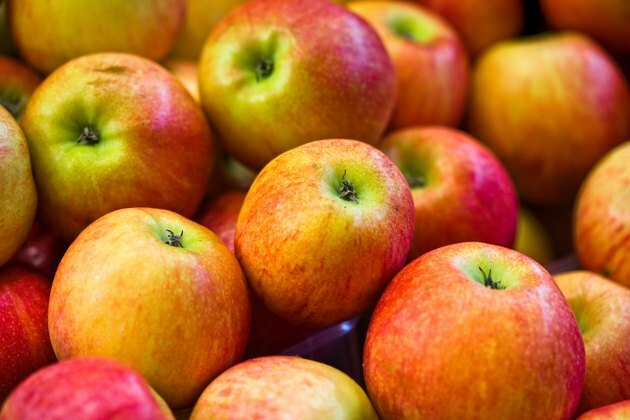 What Fruits Are High in Fructose? The natural sugars found in honey and fruits are known as fructose. When it comes to blood sugar and carbohydrates, your body doesn't react any differently to the fructose that naturally exists in fruit than it does to added sweeteners like corn syrup. Yet fruits offer the additional advantages of fiber and antioxidant vitamins, making them nutritionally superior to "empty" starches like candy or pastry. The process of removing water from fruits not only concentrates their nutrients but also their natural fructose content. Some dried fruits are good sources of fiber, potassium and iron. Vitamins, especially vitamin C, may be diminished by the drying process. 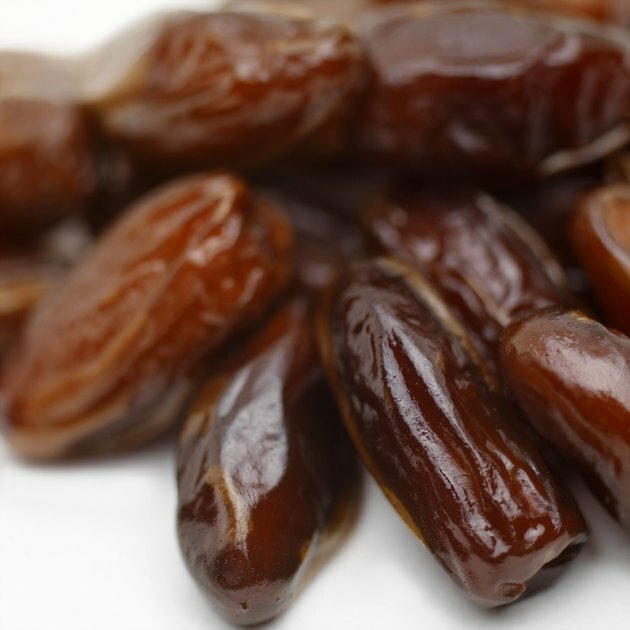 A ½-cup serving of dates contains about 55 grams of fructose per serving, while the same amount of raisins has about 42 grams of fructose; dried cranberries 40 grams; and prunes, 30 grams of fructose. Mangoes are at the top of the list for fructose content in fresh fruit, according to USDA figures. 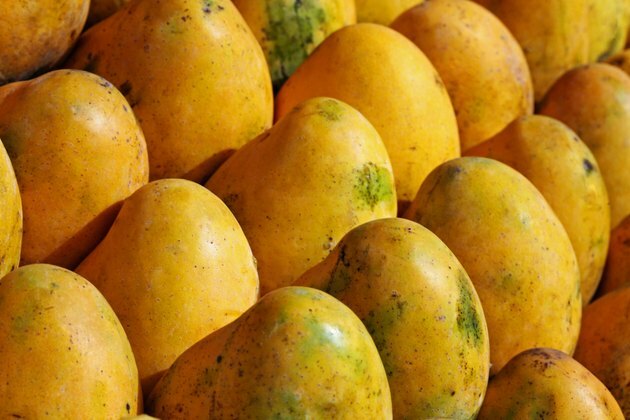 The average mango contains about 30 grams of fructose. Mangoes are also high in vitamins C and A, and are a good source of dietary fiber. 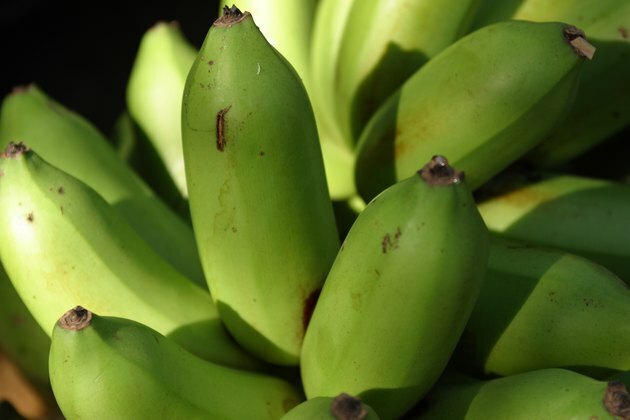 A fresh, medium plantain has about 27 grams of fructose in a medium-sized piece of the banana-like fruit. Plantains are a rich source of fiber and vitamins C and A, and also provide some iron. 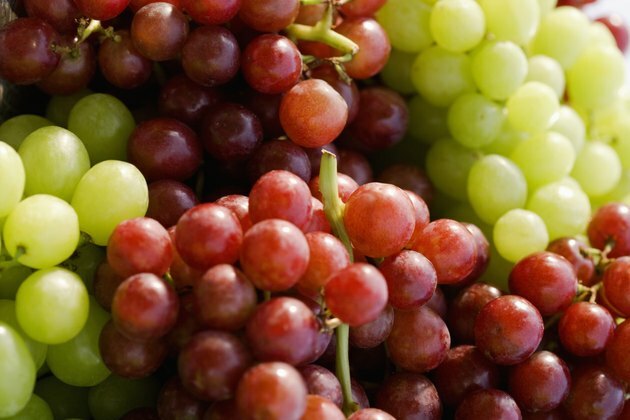 Red or green grapes contain about 25 grams of fructose per cup. Grapes are also a good source of fiber, and are high in vitamin C. They provide a small amount of iron and vitamin A. 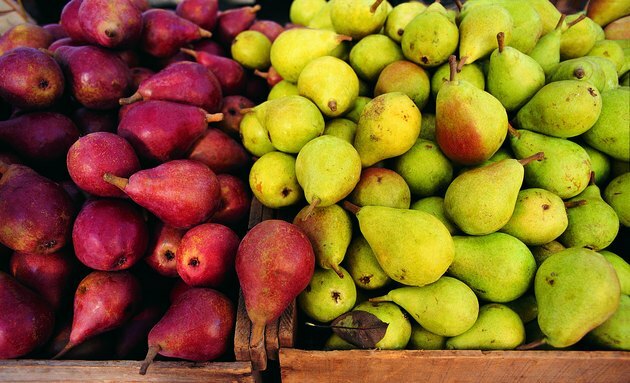 An average-sized Asian pear has 19 grams of fructose, while a common pear contains 16 grams of fructose. Pears are high in fiber and vitamin C.
One wedge of watermelon contains 18 grams of fructose per serving. 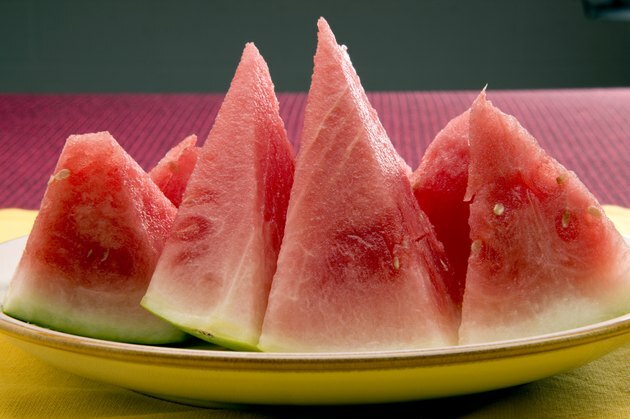 Watermelons are not high in fiber, but they are rich in vitamins A and C and provide some iron. 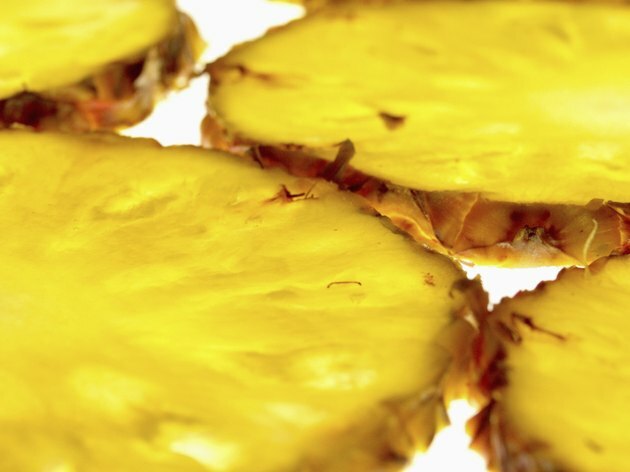 A 1-cup serving of pineapple has about 15 grams of fructose. Pineapple provides almost a day's worth of vitamin C in each cup, and is also a good source of dietary fiber, while also delivering some calcium and iron. These common fruits contain between 14 And 16 grams of fructose in an average-sized piece of whole fruit. Bananas are also a good source of fiber, potassium and vitamin C, while apples are also high in vitamin C and supply some iron and vitamin A. With about 22 grams of fructose per cup, blackberries are the highest in fructose for the berry group. Blueberries have 14 grams per cup. Raspberries have 6 grams fructose, and strawberries 8 grams fructose per cup. With their edible skins and seeds, berries are a rich source of dietary fiber, especially blackberries. 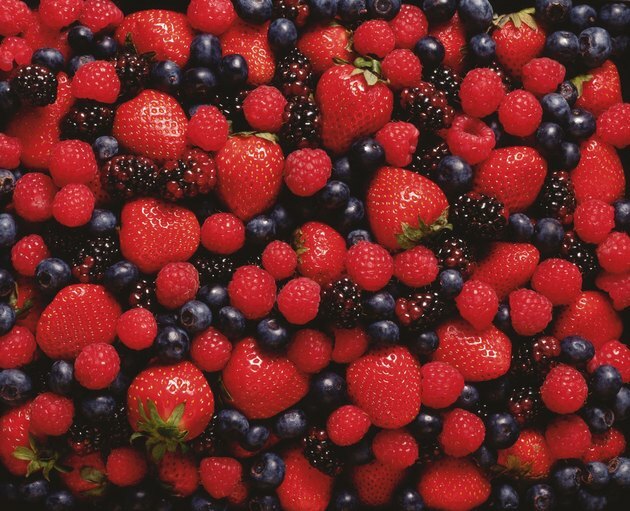 Berries are also high in antioxidant vitamins. For people with diabetes, the American Diabetes Association suggests choosing whole, canned or dried fruits with no added sugars or heavy syrups, and aiming for a serving that equals about 15 carbohydrates. 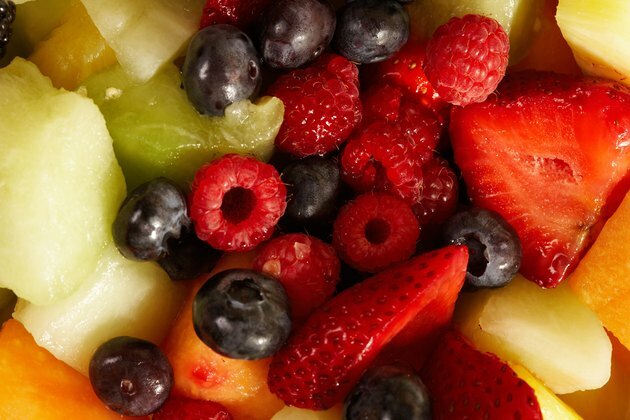 A sensible serving generally equals one small piece of fruit, 2 tablespoons dried fruit or a ¾-cup serving of berries, fresh fruit or unsweetened canned fruit. Is There Certain Fruit That is Good for Red Blood Cells? 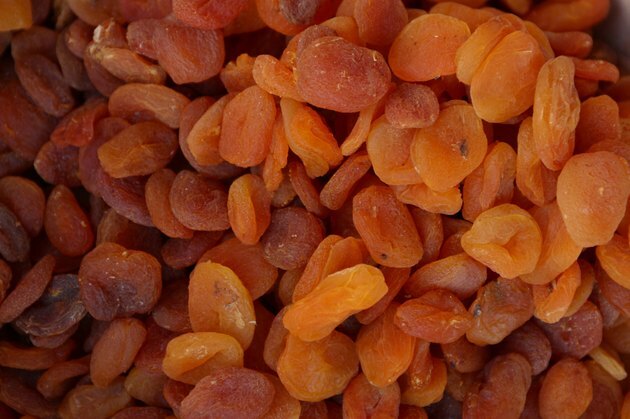 Should Diabetics Not Eat Raisins or Dried Dates?